Geothermal power is abundant, constant and relatively cheap to tap. There is enormous potential in seismically active regions like British Columbia to derive enormous amounts of energy from high temperature geothermal sources. High-temperature geothermal power holds the promise of providing large quantities of cheap, carbon-light energy without the intermittency or land use issues that make other renewables like wind and solar problematic. The heat for geothermal power comes from ongoing radioactive decay and primordial heat left over from the formation of the earth billions of years ago. The energy can be tapped anywhere on the earth's surface, though volcanically active regions make much more convenient access points to this underground heat. A number of technologies have existed for almost a century to extract this virtually inexhaustible source of power, and today many countries in the world are investing heavily in developing high-temperature geothermal plants. Iceland, for instance, gets almost 80% of its electricity from geothermal power. Countries around the Pacific Rim are especially well placed geographically for high-temperature geothermal power, and the United States, Indonesia and the Philippines are world leaders in this field. Oddly, British Columbia and Canada have no high-temperature geothermal power plants despite their proximity to the Pacific Ring of Fire. So far, all plans for development have become bogged down in permitting procedures and land use issues. There are of course drawbacks to high-temperature geothermal power. The controversial practice of fracking is needed to access underground reservoirs of heat and it is suspected that this can potentially cause earthquakes. Nevertheless many nearby countries continue to press ahead with this high-potential energy source, while British Columbia continues to have a moratorium on geothermal power development. Geothermal energy arises from two primary sources: radioactive decay, and primordial heat created by compression during the original formation of the earth around 4.6 billion years ago. 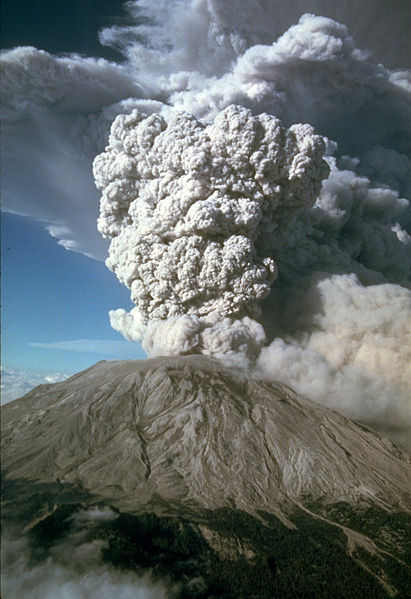 Mount Saint Helen's, in Washington State, erupting in 1980. An extreme example of the power of primordial heat. Radioactive Decay: The decay of naturally-occurring radioactive species of elements, such as uranium-235 and thorium-232, in the ground below us, results in the generation of 860,000,000,000 gigajoules per year of heat. This process is what continually replenishes geothermal energy. If the average Canadian home used 100 gigajoules of energy a year, radioactive decay could provide approximately 8.6 billion homes with energy for a year. In fact, the earth’s interior has only decreased by a few hundred degrees over its lifetime of 4.6 billion years. This is due to the continual energy generated by radioactive decay and a well insulated core. Primordial Heat: Primordial heat, as the name implies, has existed since the creation of the earth 4.6 billion years ago when the energy and mass from colliding cosmic matter produced a planet. This smoldering piece of space debris began to cool from the outside in, creating the hardened "crust" upon which life and civilization was born. The solid outer layer acts as the cast-iron of the wood-stove, insulating and containing heat. This primordial heat continues to flow from the earth's interior to its surface. This can occur through slow conduction through solid rock, and convective heat transport in areas with fluid interaction, such as water or magma. Much of this heat activity goes unnoticed by humans. It can also occur catastrophically, however, in the form of volcanic activity: Mount St. Helen's eruption in 1980 is a prominent nearby example. 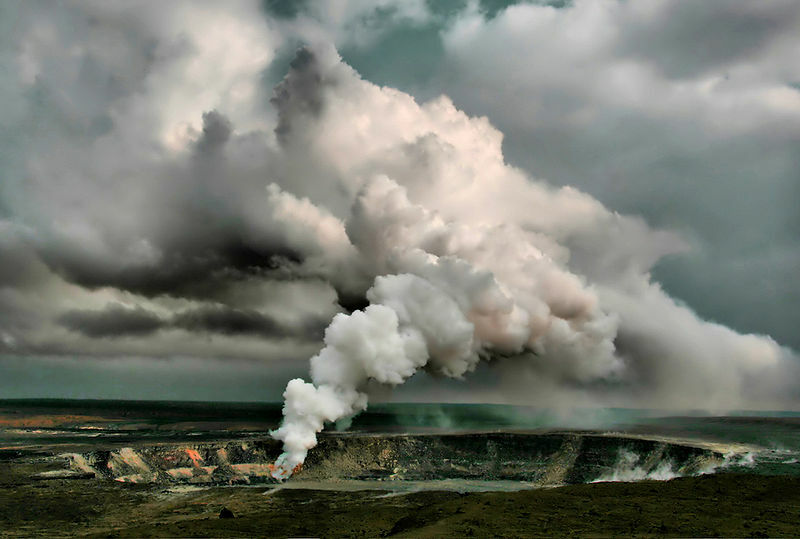 How do we Extract Geothermal Energy? We know from the previous section that geothermal heat is produced in two ways; from radioactive decay, and from the primordial heat of the earth's core. Let's look at the second and third requirements: a reservoir and a barrier. Reservoirs are permeable, hot rock units, that, when surrounded by impermeable rock layers (the barrier), act as heat-storage containers. Geothermal reservoirs can be structurally similar to the reservoirs of oil and gas reserves. Extraction of geothermal resources is conducted by drilling into these reservoirs. Sometimes, if the rock is porous, hot water is ready-made and waiting. This is known as a Conventional Hydrothermal Geothermal Resource. These sites are located in areas where magma has poked through the continental crust, creating convective circulation of groundwater. In the past, hydrothermal reservoirs have been the most common and economically feasible geothermal resources. Other times, drillers find hot rock, but no water. In this latter scenario, a second well is drilled adjacent to the first. Water is injected down the new well and collected, once it has been heated, from the first well. This is known as an Enhanced Geothermal System (EGS), the anticipated future of geothermal energy. A second function of the fluid injection is known as hydraulic fracturing, which creates and opens up cracks to maximize on heat extraction. The enhancement in permeability due to fracturing, combined with the ability to strike deeper and transfer heat to the surface with injected water, allows for much wider-scale applications of geothermal technology. No longer do developers have to stay within the limitations of hydrothermal reservoirs. In theory, EGS means that geothermal resources can be tapped anywhere in the world. Economically, however, favourable projects are still limited by site accessibility and geographical conditions such as elevated heat flow and abundant water resources for fracturing. How do we use High-temperature Geothermal Energy? Geothermal resources are used either for direct heating or for generating electricity. Direct use systems use heat from low-temperature resources between 50°C and 150°C. The components of a direct use heat system are a source of heat (such as a well), a method of transportation from the ground to buildings (piping) and a disposal system (possibly reinjection of fluid into the well or a storage pond). Direct heating can, and does, provide heat for residential and industrial facilities. It is also often employed in commercial applications, such as greenhouses, fish farms and food processing facilities. Direct use heating systems also encompass on-site low-temperature geoexchange systems. Electricity generation is achieved through the use of geothermal steam to drive turbines, which in turn power electric generators. This technology uses hydrothermal fluids (primarily steam) to directly drive a turbine, which then powers a generator that produces electricity. This is the oldest type of geothermal power plant, first used at Lardarello, Italy, in 1904. The Lardarello facility is still in operation today. Dry Steam techniques are used at the Geysers in northern California, the world's largest single source of geothermal power to date. Hydrothermal fluids above 182 C are sprayed into tanks held at considerably lower pressure than the fluid, causing some of the liquid to rapidly vaporize, or "flash". The vapour is then used to drive a turbine, which then drives a generator, thus creating electricity. Remaining liquid can be flashed a second time to extract as much energy as possible (and also eliminating wastewater). This technology involves two fluids: hot geothermal water and a second "working fluid" with a lower boiling point than water. Heat is exchanged between the two fluids, and the working fluid (usually a hydrocarbon like isobutane or pentane) boils and vaporizes. The "flash" of vapour drives a turbine which generates electricity and heat. The system is based on two closed loops; both the water and the working fluid are re-injected into the cycle. Canadian Geothermal Energy Association (CanGEA). Full listing of Canadian Projects. Retrieved July 21, 2011 at: http://www.cangea.ca/projects. Kimball, Sarah. ‘Favourability Map of British Columbia Geothermal Resources.’ Thesis. The University of British Columbia, Vancouver, Canada. (2010) Accessed May 30, 2012. http://www.pics.uvic.ca/assets/pdf/publications/kimball_thesis.pdf . Holroyd, Peggy and Jennifer Dagg. ‘Building a regulatory framework for geothermal energy development in the NWT.’ The Pembina Institute. (2011). Alberta, Canada. Accessed May 30, 2012. http://pubs.pembina.org/reports/building-a-regulatory-framework-for-geothermal-in-the-nwt.pdf. US Department of Energy. ‘Hydrothermal Power Systems.’ Geothermal Technologies Program. Last modified February 22, 2012. Accessed May 30, 2012. http://www1.eere.energy.gov/geothermal/powerplants.html#dry. Geothermal energy exists beneath all continents and oceans; however, the heat distribution is not uniform. Rather, the earth is made up of cooler regions and hotspots, like the Pacific Ring of Fire, where a flurry of tectonic activity allows heat to rise to the surface. Hot springs, steaming ground, fumaroles, mud-pools, and geysers are all indicators of rich geothermal resources beneath the ground. A diagram showing the Geothermal Gradient of the earth, explaining how the deeper one goes into the earth, the hotter it becomes. 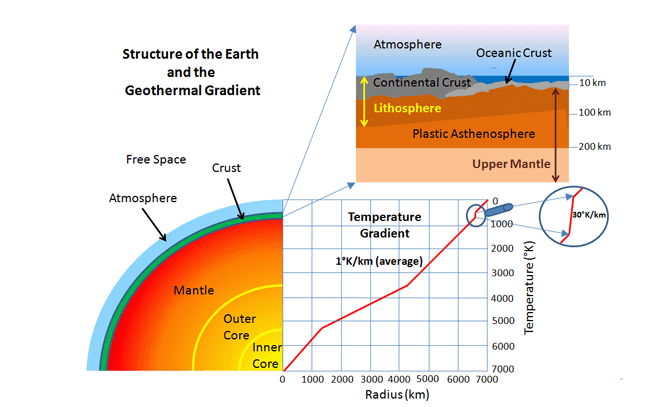 On a large scale, the intensity of this thermal energy increases with depth; the closer we get to earth's core (which is approximately 5000°C) the hotter it gets. A global average for earth's geothermal gradient is about 30°C/km. Geothermal resources are located in areas with greatly elevated gradients, sometimes as much as 100 C/km. In the absence of geothermal gradient data, developers often look to the geology of the area for hints on the underground potential. Hydrothermal systems, for instance, are typically bedded in young volcanic rock, while Enhanced Geothermal systems have good potential in hot sedimentary aquifers and intrusive rocks where radioactive decay enriches heat generation. Once a geothermal system is in place, and operating sustainably, geothermal heat is always available. Oil, gas, coal — these are finite resources. Solar, wind, wave — these are dependent upon the weather. Geothermal provides a predominantly carbon-free, secure, and continuous source of energy. Furthermore, it has one of the lowest levelized unit costs of any energy type. Geothermal power requires no fuel except for pumps, and is therefore immune to fuel cost fluctuations. Capital costs are significant, sometimes up to $4 million per MW, depending on the size of the power plant, and the surrounding geography. Drilling accounts for over half the costs, and exploration of deep resources entails significant risks. The substantial up-front costs of drilling are risky; after spending millions on exploration, resources may be unfit for exploitation. Once running, though, the high capital costs are neutralized by miniscule fuel costs and low operation and maintenance costs over the facility's lifetime. The Geothermal Energy Association, referencing a 2007 report by the California Energy Commission, estimates the generation costs for a 50 MW geothermal binary plant at $92/MWh and $88/MWh for a 50 MW dual flash geothermal plant, which over the lifetime of the plant can be competitive with a variety of technologies, including natural gas. According to the California Energy Commission, natural gas costs $101/MWh for a 500 MW combined cycle power plant and $586/MWh for a 100 MW steam plant. Graph comparing the cost of different energies. Study conducted by the Geothermal Energy Association. Erecting transmission lines where they do not previously exist poses another financial challenge. Roughly, 1 km of transmission costs $1 million, and 1 km of transmission can be necessary for every MW of power generation. With most geothermal sites located in remote areas, quite often accessed by logging roads, the costs of building transmission lines can add significantly to the up front costs. The Canadian Geothermal Energy Association claims that tapping into our country's geothermal resources could create up to 9,000 permanent jobs, as well as 30,000 manufacturing and construction jobs nationwide. More site-specifically, the Clean Energy Association of BC estimates the South Meager Geothermal plant, if developed, would employ between 3-40 people in full time positions. Temporary jobs emerging from the construction of the plant, substations, transmission line and other facilities, could employ 250-350 personnel over an estimated two-year construction period. Iceland, whose geothermal energy developments already supply at least 81% of the country's electricity, has announced plans to export geothermal energy to other European nations by channeling it under the ocean. The plan proposes to construct a giant cable that would lie on the seabed and transmit as much as 5 billion kWh/y of electricity, powering a potential 1.25 million houses. Learn more here. Clean Energy Association of BC. Geothermal power fact sheet. Vancouver, Canada. Retrieved at: http://www.cleanenergybc.org//media/CEBC_FS-Geothermal_web.pdf. Geothermal energy production can be considered a renewable resource, under specific conditions. 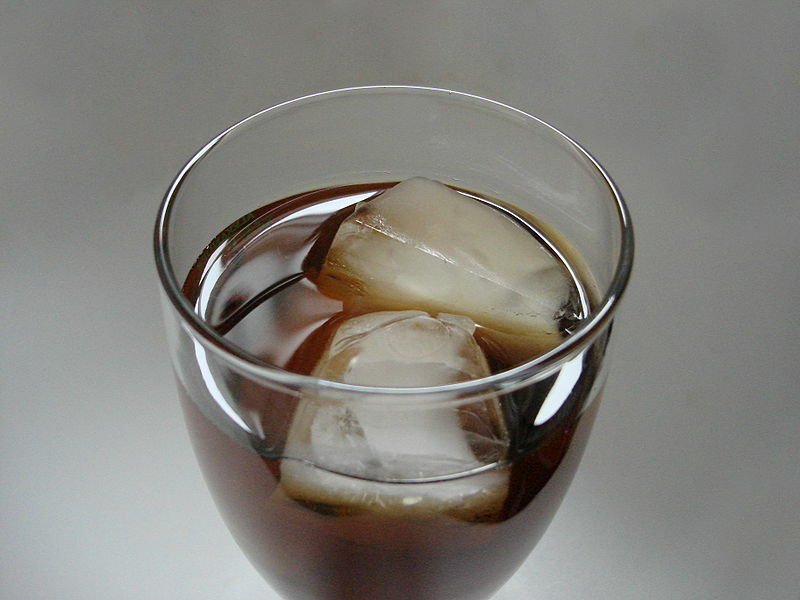 In his book Sustainable Energy — without the hot air, David MacKay uses the metaphor of a straw and a crushed ice drink to explain the concept of, as he puts it, "sustainable sucking" in geothermal energy extraction. A straw inserted into the beverage represents the well we drill to reach the geothermal reservoir. If we slurp up the liquid at a rate faster than it can replenish itself, we are sucking unsustainably. "Sucking" heat energy in conventional hydrothermal resources at the natural rate heat escapes anyway, would indeed be sustainable. Using Enhanced Geothermal Systems to pump water into previously dry, hot rock units, would also be sustainable so long as the rocks were given time to "recover" and heat back up before more liquid is injected. Sarah Kimball furthers this argument: "If economic exploitation of geothermal fluids exceeds the natural replenishment rate there may be depletion in the heat and/or fluid content of the reservoir." It must be understood that natural geothermal features, such as fumaroles, as well as human developed geothermal wells, emit carbon dioxide, hydrogen sulfide, ammonia, nitrogen and methane. In comparison to other energy sources, however, these emissions are negligible. Fewer nitrogen and sulfur emissions mean less acid rain, and reduced CO2 emissions mean a more stable ozone layer. The BC Sustainable Energy Association remarks that a 100 MW geothermal plant will reduce CO2 emissions by 600,000 tonnes a year, and nitrogen and sulfide emissions by 120,000 tonnes annually compared to a natural gas plant of equal size. Geothermal energy ranks the lowest in an analysis of CO2 emissions from coal, petroleum and natural gas. 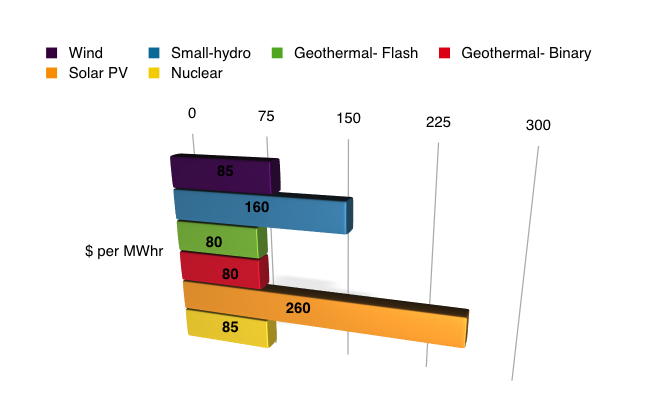 On the high end was coal (990 kg/MWh), contrasted by geothermal at 0.48 kg/MWh. A fumarole at Halema'uma'u crater in Hawaii Volcanoes National Park. In a geothermal power plant, much of the activity occurs underground, which reduces its land-use impact substantially. Studies have placed geothermal's land requirements at 1.0 to 13.9 km2 per TeraWatt hour per year. This compares with 27.5 to 99.3km2/TWhr/yr for oil. Cooling is a necessary step in the geothermal power conversion process. In order to condense the vapour feeding the turbine, a cooling mechanism must be employed. Cooling towers also safeguard against possible overheating of turbines. There are two types of cooling systems in use today: water cooling and air cooling. Most geothermal power plants — in fact most power plants in general — use water cooling systems. 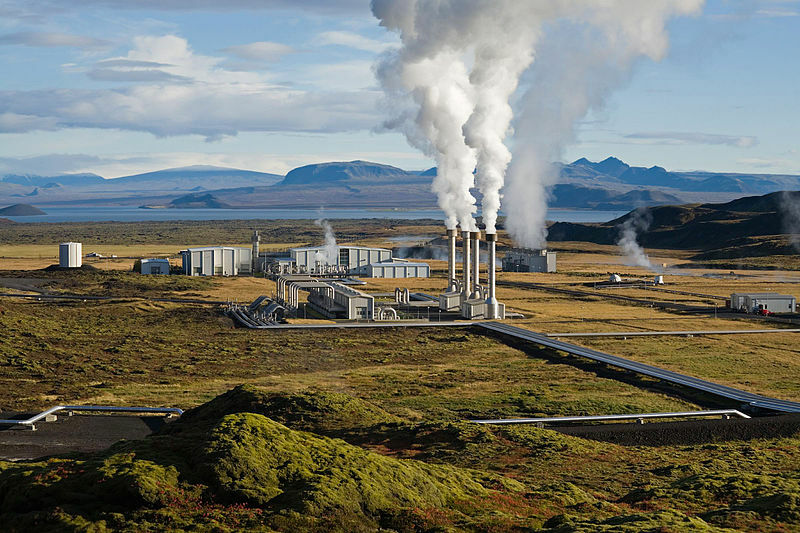 A geothermal steam power plant may consume as much as 5,300 litres/MWhr (though it may withdraw as much as 7,570 litres). Dry cooling systems can reduce water consumption to nearly nothing, though they can cost up to 10 times more than their wet counterparts. Geothermal fluids can contain high levels of arsenic, mercury, lithium and boron due to contact with the high temperature rocks in depth. If this waste-water is not disposed of properly, it could leech into lakes and rivers where ecosystems and safe drinking water can be damaged. To avoid contamination of surrounding water systems, the waste water is usually pumped back into the geothermal reservoir where it can help replenish the system. Land subsidence is another land issue being raised by residents near geothermal developments. Subsidence describes the slow sinking of land, which has been linked in some areas to geothermal plants. This is from the geothermal reservoir decreasing in pressure as the fluid is pumped out. The largest known case of subsidence was Wairakei, New Zealand where the centre of the subsidence was 14 meters lower than initially and was sinking at a half a meter a year. 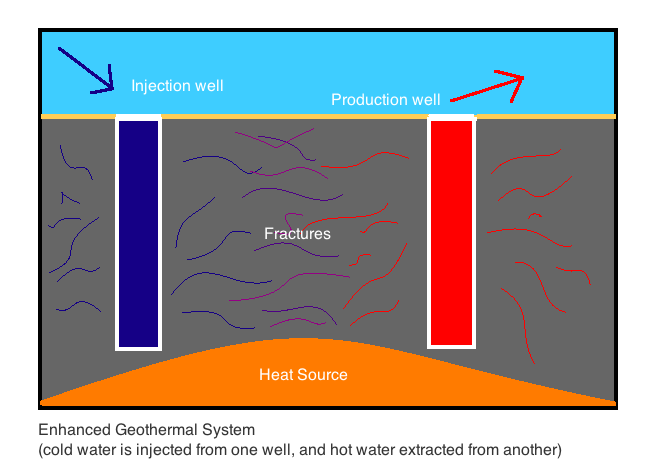 Hydraulic fracturing, or "fracking", is employed to open up hot, dry rock reservoirs in Enhanced Geothermal Systems. Fracking has earned a poor reputation in recent years, because the oil and gas industry is known to mix toxic additives into the water, which then seep out into surrounding areas, polluting aquifers and poisoning wildlife, livestock, and humans. Oil and gas wells may be fracked up to 17 times, with each injection utilizing as much as 18 million litres of water, the waste of which is pumped into disposal wells. Geothermal fracking is not reported to use any dangerous additives, however, it presents another concern: induced seismicity. Because the best geothermal resources are found in areas of high tectonic activity, earthquakes, and the possibility that they could be sparked by drilling and fracking, must be considered. High pressure injections and trickling wastewater open up and lubricate old fault lines, allowing them to shift and trigger earthquakes. In a 2009 speech, Calgary geologist Jack Century, president of J.R. Century Petroleum Consultants Ltd., explained that the human activity of altering the amount of fluid in the earth, changes the pressure where fault-lines exist, causing them to move. A geothermal project in Basel, Switzerland in 2006 triggered a 3.4 Richter Scale earthquake that damaged buildings in the surrounding area. A geothermal project in Basel, Switzerland in 2006 triggered a 3.4 Richter Scale earthquake that damaged buildings in the surrounding area. Read more about it here. It's hard to know if geothermal development in a given area will result in induced seismicity. A good indicator is the region's history. There is no question, however, that once an earthquake is "turned on", there is no way to turn it off. Are the potential hazards of induced seismicity worth the availability of clean, renewable energy? The impacts of earthquakes can be treacherous, from devastated infrastructure to damaged wildlife habitats. It is important to note that the risks of hydraulic fracturing are already a reality in the oil and gas industry. Some might say if we're going to "frack", we may as well do it in the name of clean, renewable energy. For examples of earthquakes induced by fracking in Canada and the United States, see this article from the Canadian Centre for Policy Alternatives. As with all energy resources, it is essential to consider the land in direct use, as well as the surrounding area affected by the activity. In the case of the Mount Meager site, it is important to think about the impacts such development would have on the Upper Lillooet Provincial Park — its natural landscape and wildlife. Noise pollution remains an unavoidable by-product of geothermal construction projects that could affect animal populations. However negative some of geothermal's effects may be, they are in no way unique to this type of energy resource. Oil, natural gas, and coal all account for massive habitat destruction, noise pollution, and shrunken nature reserves, not to mention greenhouse gas emissions. Cowan, Jamie. ‘Geothermal Power.’ Written for the BC Sustainable Energy Association. (2005). Accessed May 30, 2012. http://www.bcsea.org/learn/get-the-facts/renewable-energy-technologies/geothermal-power. Canada has been slow to advance development of known geothermal resources. It wasn't until March, 2004, that the BC government began accepting bids from companies proposing to develop geothermal resources in the Meager Creek and Kinbasket Lake regions. In June 2004, the BC government approved drilling permits for two deep production wells to assess the commercial viability at Meager Creek. At that time, the lease went to Western GeoPower, but it has since changed hands and is now held by American corporation Ram Power. Ram Power has expressed that the Mount Meager site is a low priority and has not displayed efforts to develop it. When (if) they do, it is likely that the overall project plan will remain similar to that outlined by Western GeoPower in 2004. The project facilities described by the Meager Creek Development Corporation (a subsidiary of Western GeoPower) in a 2004 document list the following facilities: production and injection wells, fluid gathering and injection systems, the actual power plant, and a 230 kV transmission line. These developments, especially the transmission line, are strongly opposed by local First Nations who see the development as an infringement upon their traditional land rights to the area. The site is mostly set on traditional Lil'wat Nation (Mount Currie Band) territory, but other bands, such as the N'Quatqua First Nations, may be affected as well. The highly contested transmission line would link the Meager power plant to the B.C. Transmission Corporation (BCTC) system. The route preferred by developers runs through the Pemberton Valley, of which a substantial portion belongs to the Lil'wat First Nations. Alternative routes include the 80 km stretch through the Upper Lilouett and Birkenhead Valley, which would tie in to a substation at Poole Creek, and the 80 km route through the Hurley River valley, which would be more costly as it would require an upgrade of BCTC's local line. Both alternatives would use mostly Crown land, aside for some 4-5 km sections of unlogged forest. Geothermal legislation in BC requires that potential parcels of land go through a referral process, during which First Nations, local government and other agencies (such as environmental organizations) are consulted. If approved, an auction is held, and the highest bidder is awarded the tenure. Exploration permits are valid for one year, and can be extended for up to eight years. Permit holders have an obligation to explore resources. Once development plans are submitted for the area, a lease of 20 years is granted, and may subsequently be renewed. The natural heat of the earth and all substance that derive an added value from it, including steam, water and water vapour heated by the natural heat of the earth and all substances dissolved in the steam, water or water vapour obtained from a well, but does not include: a)	water that has a temperature less than 80 Degrees Celsius at the point where it reaches the surface, or b)	hydrocarbons. The act does not include control legislation for overdevelopment, such as restrictions on the rate of production to ensure sustainable exploitation. In 2008, the BC government placed a moratorium on geothermal permitting applications and established a Geothermal Task Force to develop a policy framework to address regulatory and tenure issues. This was in response to a rise in requests for geothermal tenure, combined with complaints about the tenure system. The task force communicated with industry players who urged fiscal incentives for the industry, as well as improved accessibility to Crown lands for exploration. These discussions have had little impact, however, and the government has implemented no major changes to legislation and regulation to date. In 2008, the BC government placed a moratorium on geothermal permitting applications and established a Geothermal Task Force to develop a policy framework to address regulatory and tenure issues... These discussions have had little impact, however, and the government has implemented no major changes to legislation and regulation to date. It is uncommon for renewable energy markets to grow and compete with conventional markets without the support of government funding and policy-making. For nearly 25 years, geothermal science has not been funded by the Canadian Federal Government. Other countries have accelerated the development of geothermal projects with Renewable Portfolio Standards and Feed-in-Tariffs. Ontario has paved the way for FIT's in Canada, focusing support on solar power. Though BC, nor any Canadian province, does not yet deploy these tools in support of geothermal development, it is likely that some sort of program will emerge from the Clean Energy Act. The BC Sustainable Energy Association, under its "Social, Economic & Political Matters" section suggests policy changes here to promote the use of high-temperature geothermal energy in BC. Burke, David. ‘Slide affecting access to power project sites.’ Question. Whistler and Pemberton news. (2010). Accessed May 30, 2012. http://www.whistlerquestion.com/article/20100812/WHISTLER01/100819998/-1/whistler/slide-affecting-access-to-power-project-sites. Green Energy Task Force 2010. Geothermal is being harnessed around the globe, from climatically cool regions like Iceland to tropical ones like Mexico. Worldwide, there are over 10,000 MW of installed capacity electricity generation, and 27,825 MW of direct heat produced from geothermal resources. Electricity production occurs in 24 countries, and direct heating in 72. The United States, the Philippines and Indonesia comprise over half the world's geothermal generating capacity, at 3,903 MW, 1,904 MW, and 1,197 MW respectively. The rest is dominated by Iceland, Mexico, Italy, and Japan. The Nesjavellir Geothermal Power station in Iceland. In Iceland, over 81% of the electric power and 95 percent of home heating is produced from steam and hot water that occurs naturally in volcanic rocks. Iceland produces enough geothermal energy to have the highest portion of its energy use provided for by geothermal, but not enough to rank as one of the top global producers in absolute terms. The country of Iceland resides on a highly unique geological foundation ideal for geothermal energy extraction. Canadian companies develop geothermal electricity in the U.S., yet the resource remains largely untapped this side of the border. Canada is the only country along the Pacific Rim that doesn't have an operating, high-temperature geothermal energy power plant. Systematic investigation of geothermal resources in Canada commenced in 1973, when the worldwide oil crisis spurred countries to seek alternatives to imported oil. A formal program concluding in 1986, without leading to any major development projects. Momentum didn't pick up again until the early 2000s, when oil prices again began to rise. Areas in Western Canada display strong prospects for geothermal energy extraction, and there have been extensive studies at Mount Meager, north of Whistler, BC. Electricity was successfully produced there during testing in the past, but as of 2010, the facility was not operational. Further, the site's new lease holders, Ram Power, have indicated that the site is a low priority compared to its other international projects. Two projects are proposed for construction in the North West Territories. The Fort Liard demonstration project would generate 1 MW of electricity and 1 MWh of heat. The project is a joint venture between Borealis GeoPower and the Acho Dene Koe First Nations of the area. The project has qualified for $10-20 million dollars in funding from the Federal Clean Energy Fund, and Borealis estimates that the plant will be online by 2013. 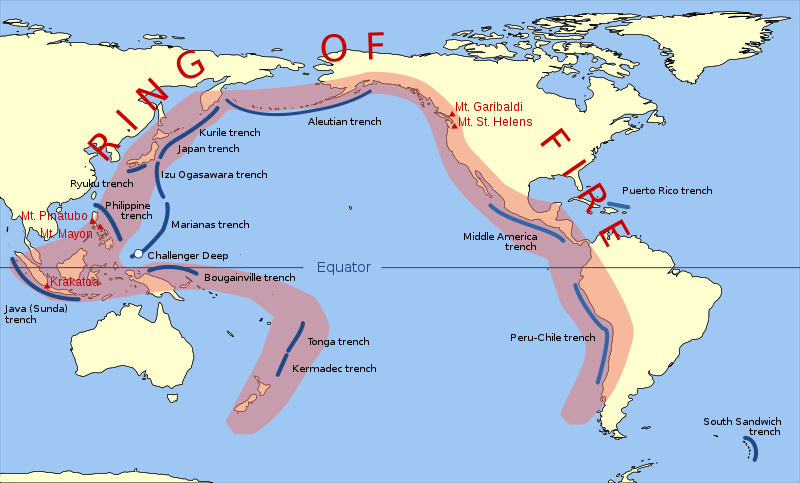 The Ring of Fire around the Pacific is one of the most seismically active regions in the world and every country around it has built geothermal power plants to take advantage of the geothermal resources. That is, except Canada. The Con Mine District Heating System in Yellowknife has also qualified for financial support from the Clean Energy Fund ($14.1 million) though a lack of support from city residents in a March 2011 referendum means that locals are unwilling to borrow funds for the project. The proposed heating system would produce 52,000 MWh/yr which could be used to heat nearly 40 commercial buildings in downtown Yellowknife, offsetting ~7.5 million litres of heating oil annually. A pilot project to test the viability of electricity and heat production through the use of existing oil and gas infrastructure is underway in Swan Hills, Alberta. Various direct heating projects are also in development, including a demonstration for a greenhouse in Chilliwack, BC, and a plastics factory in Springhill, Nova Scotia. According to the Canadian Geothermal Energy Association, numerous geothermal projects are currently underway. See a full listing of Canadian projects here. The numerous hot springs found around the province point to the presence of high heat and energy geothermal deposits. CanGEA, referencing a 2007 study by Dr. Mory Ghomshei from the University of British Columbia, estimates the province's geothermal resources to be between 3,000-5,000 MegaWatts. Currently, the United States, global leader in geothermal energy, produces 3,903 MW from this source. The Coast Mountains bear Canada's richest potential sources of geothermal energy. Here, just a few kilometers below the earth, magma rises with temperatures of approximately 200-300°C. These reservoirs could be used in heating, or in producing electricity through the use of steam-driven turbines. A proposal for Mount Meager, 70 km northwest of Pemberton and within the Upper Lillooet Provincial Park at the headwaters of the Lillooet River, might produce enough electricity for over 90,000 households a year, estimates Green Energy BC. In 1975, BC Hydro drilled 18 test holes at Meager Mountain. This work was followed by three deep exploratory wells between 1980 and 1982. Another deep exploratory well was completed by Pacific Geopower in July 1995. South Meager has been classified as a high-temperature geothermal resource area, with exploratory testing wells revealing maximum temperatures up to 270°C. The exploratory wells uncovered relatively low permeability, suggesting low production of geothermal fluids. Potential development capacity sits at an estimated 200 MW. Canadian corporation Western GeoPower held the lease for the Mount Meager site for several years until it was bought by the U.S. company Ram Power in 2009. In comparison to Ram's other developments, Mount Meager seems to be a low priority. Ram Power executive vice-president Dan Schochet has said, "Drilling a well there is a costly proposition — it's on a mountainside and accessed by logging roads. In all honesty, it's probably not going to be anything we develop in the very near future. It's still on our books, we haven't given up hope on it, but we're not doing much in there right now". North Meager or Pebble Creek, and Mount Cayley and Mount Garibaldi have also been explored. North Meager is likely fed by the same subterranean source as South Meager. It is speculated that North Meager may have more favourable lithology than South Meager, in terms of permeability. In 1977, the federal government drilled five shallow wells at the Mount Cayley site. Evidence of geothermal gradients similar to those at Meager Mountain were found. Preliminary exploration has also occurred at Canoe Reach/Valemount and Knight Inlet/Mount Silverthrone. 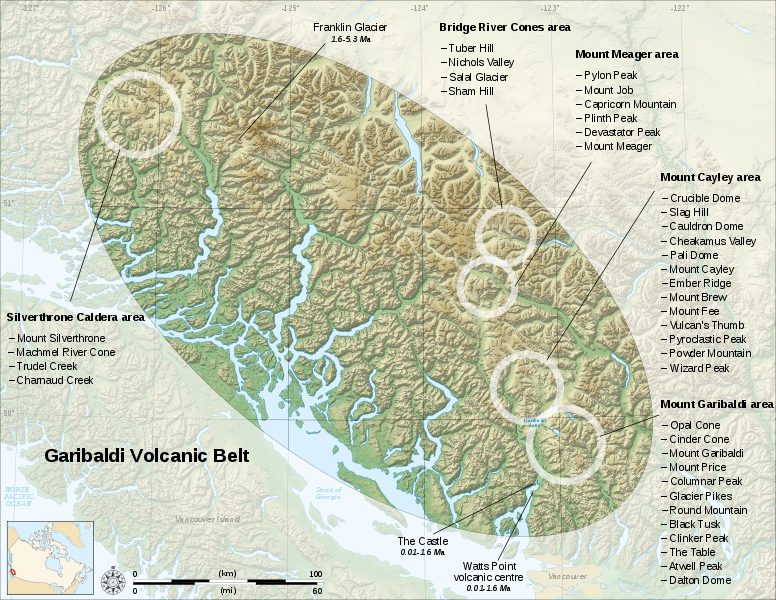 Map of the Garibaldi Volcanic Belt, including the hotspots of Mount Meager, Mount Cayley, and Mount Garibaldi. BC Citizens for Green Energy. ‘Deep down, B.C. 's a geothermal hotspot.’ Green Energy BC.ca (2011). Accessed May 30, 2012. BC Ministry of Energy. ‘Geothermal Questions & Answers.’ Last modified July, 2010. Accessed May 30, 212. Bertani, Ruggero. ‘Geothermal power generation in the world 2005-2010 update report.’ Proceedings World Geothermal Congress. Bali, Indonesia. International Geothermal Association. (2010). Accessed May 30, 2012. Geothermal power generation in the world 2005-2010 update report. Burke, David. ‘Slide affecting access to power project sites.’ Question. Whistler and Pemberton news. (2010). Accessed May 30, 2012. Canadian Geothermal Energy Association (CanGEA). 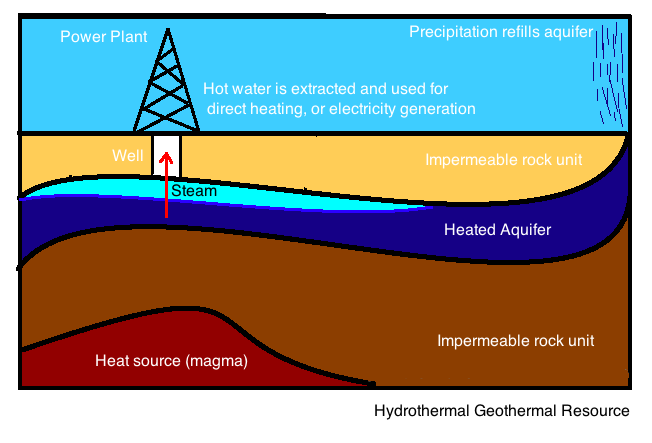 ‘What is Geothermal?’ CanGEA. Accessed May 30, 2012. Clean Energy Association of BC. ‘Geothermal power fact sheet.’ Vancouver, Canada. Accessed May 30, 2012. Cowan, Jamie. ‘Geothermal Power.’ Written for the BC Sustainable Energy Association. (2005). Accessed May 30, 2012. Glennon, R., and A. Reeves. ‘Solar energy's cloudy future.’ Arizona Journal of Environmental Law & Policy. Vol 1:1 (2010). Accessed May 30, 2012. Holroyd, Peggy. Dagg, Jennifer. 2011. Building a regulatory framework for geothermal energy development in the NWT. The Pembina Institute. (2011). Alberta, Canada. Accessed May 30, 2012. Kagel, Alyssa. ‘The state of geothermal technology.’ Publication by the Geothermal Energy Association for the U.S. Department of Energy. (2007). Accessed May 30, 2012. Kimball, Sarah. 'Favourability Map of British Columbia Geothermal Resources.' Thesis. The University of British Columbia, Vancouver, Canada. (2010). Accessed May 30, 2012. Mendrinos, D., E. Kontoleontos, C. Karystas. Geothermal binary plants: Water or air cooled? Centre for Renewable Energy Sources. Greece. Accessed May 30, 2012. Natural Resources Canada. ‘2007 Survey of Household Energy Use— Supplemental Report.’ Energy Publications (2011). Accessed May 30, 2012. Nelson, Joyce. Big fracking problem. Canadian Centre for Policy Alternatives. (2011). Accessed May 30, 2012. Rybach, L (2007). 'Geothermal Sustainability.' GHC Bulletin, September, pg 2-7. Accessed May 30, 2012. University of California- Riverside. Iceland volcano drilling suggests magma could become source of high-grade energy. Science Daily. (2011). Accessed May 30, 2012. US Department of Energy. Hydrothermal Power Systems. Geothermal Technologies Program. (2010). Accessed May 30, 2012.